Derby's BMW, VW and Audi Group, car servicing, maintenance, specialist diagnostics and repair experts. Welcome to G-Tech Motor-Works your specialist independent German vehicle workshop based in Derby. 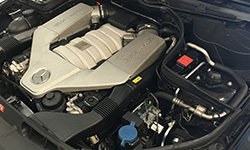 We regularly service BMW, Audi, Volkswagen, Mercedes, Seat, Mini, Porsche & Bentley cars. Whilst we specialise in German vehicles we do also help customers with cars from other manufacturers. 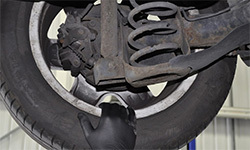 The service and maintenance of your vehicle is important and can be costly. 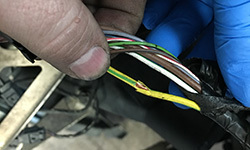 Many people are still unaware that even if your vehicle is covered by a manufacturers warranty, you are not under any obligation to return to the dealer for your service. G-tech Motor-Works can take care of your vehicle, without invalidating your warranty, we can also stamp and register your electronic/online service book. Cars are an essential part of life and there is nothing more inconvenient when something goes wrong. We have the latest diagnostic equipment and technical data required to get your vehicle back to its best. You know when something doesn't feel right, the steering pulls to one side, your auto gearbox feels "sluggish", or there is a strange smell after you have been on a long run. With a combined 40 years of workshop experience, our staff have the knowledge and the skills to put those wrongs......right. Taking your car to the garage can be an anxious time, whatever the issue, you want to know that your vehicle is being taken care of and is in safe hands. For the staff of G-tech Motor-Works every customer is a friend and every car is treated like our own. Every care is taken to ensure that your visit is as painless as possible. There is a huge choice of cars, engines, accessories and colours, but sometimes you want a little bit more. G-tech Re-works is all about getting that little bit extra . 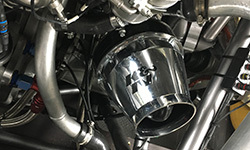 Extra horsepower, extra style or extra luxury, whatever your requirements.... we can help. Derby’s Main-Dealer alternative car servicing, maintenance and repair garage. With more than 30 years experience within the automotive aftermarket industry, comes the brainchild of two technicians from Derby. 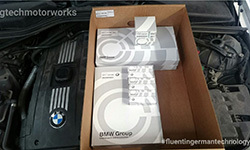 Apprentice to service tech BMW factory trained. Time-served service tech VW factory trained. Apprentice to master tech Ford factory trained. Time-served service tech Toyota factory trained. Time-served diag tech Renault factory trained. Time-served service tech Volvo factory trained. Time-served independent German specialist. Time-served independent luxury and supercar specialist. MOT testers. Air Conditioning certified. IMI members. ATA accredited. If you have a problem with your vehicle no matter how severe or insignificant, give us a try. We shall be closed now until Tuesday 23rd April. We hope you all have a great weekend .